If you see a towel on the mat in a corner of the Ultimate Fitness gym in Sacramento, steer clear, because Rick Glenn is in town. And fellow UFC featherweight Darren Elkins is probably close by. Oh, his poor wife, having to deal with this every day. And Glenn loves her back. He also loves California, a far cry from Iowa and Wisconsin, the places where he grew up and learned about fighting and life. For him, it was a move that he needed to make to progress as a mixed martial artist, and it’s safe to say that Sacramento is home for him these days. This week, Glenn is in Boise, Idaho, which has almost become a satellite branch of Ultimate Fitness considering that four members of the TAM squad are fighting on Saturday. Elkins, Chad Mendes, Sage Northcutt and Glenn will all take to the Octagon, with Glenn squaring off against perennial contender Dennis Bermudez. And while this is an individual sport, this weekend will undoubtedly be a reminder that it takes a team to get to fight night. 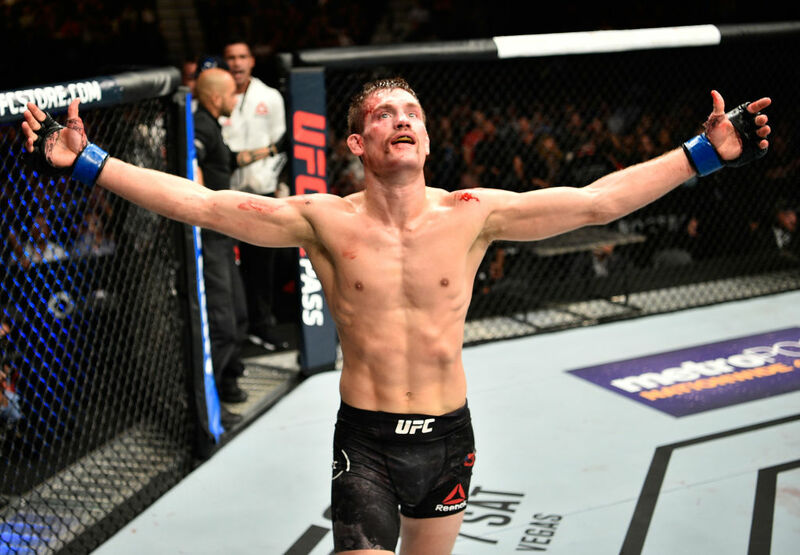 With wins in two of his last three bouts, Glenn may also be peaking, and despite dropping a decision to Myles Jury last December, his previous victories over Philippe Nover and Gavin Tucker have him confident that the Bermudez fight will be a good one for him. So much so that when this interview was conducted on July 2, Glenn was getting a little antsy and had to be reminded to dial it back in the training room. That’s a good sign for Glenn, a 26-fight veteran who still hasn’t hit his 30th birthday yet. He won’t hit that milestone until next April, yet he’s got plenty of experience that few of his 29-year-old peers don’t come close to matching. And that’s something nice to have in your back pocket. Count me in for the Rick Glenn story. But in the meantime, there are fights to be fought, and the “old guy” at Ultimate Fitness is looking forward to all of them.